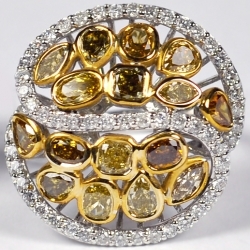 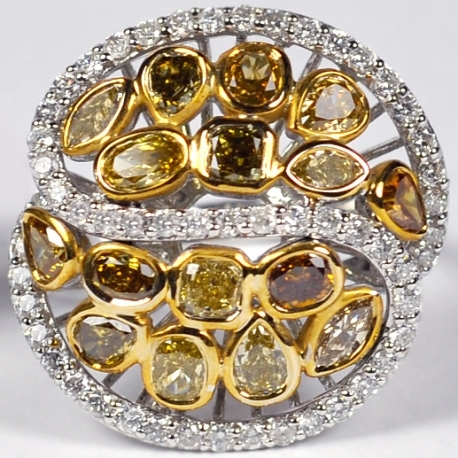 Make a gorgeous and unique statement with this fancy diamond cocktail ring! 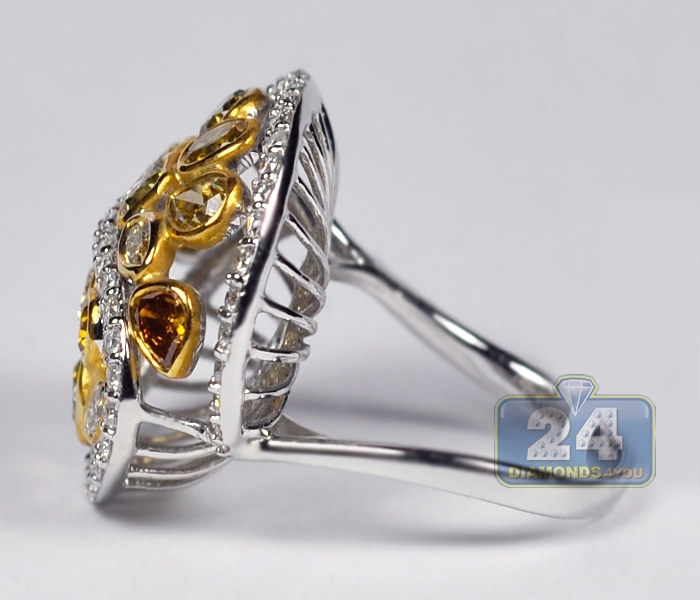 Lustrous 14k white gold has been masterfully handcrafted into one of a kind design that features natural multi-shaped and multi-colored as well as round cut icy white diamonds. 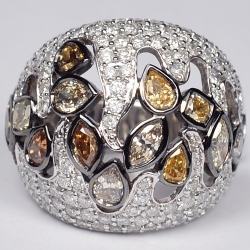 Impressive combination of colors, shapes, materials and design idea! 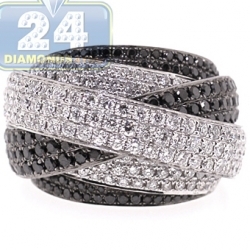 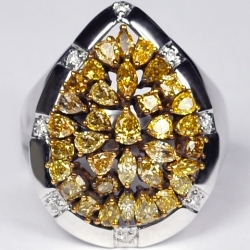 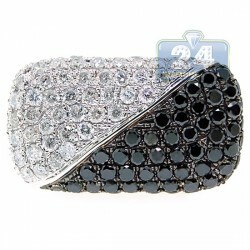 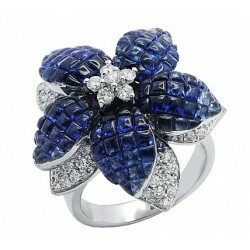 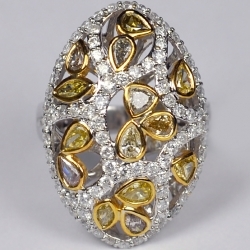 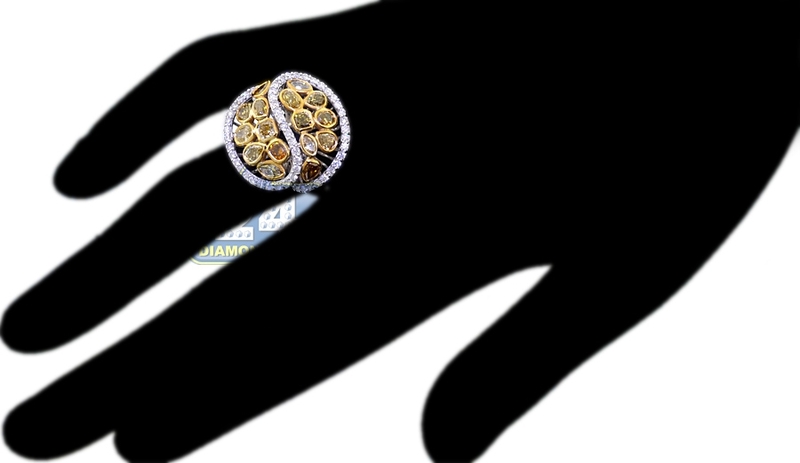 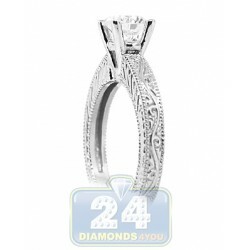 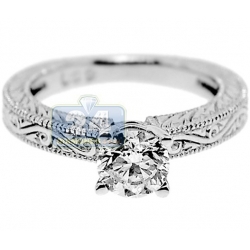 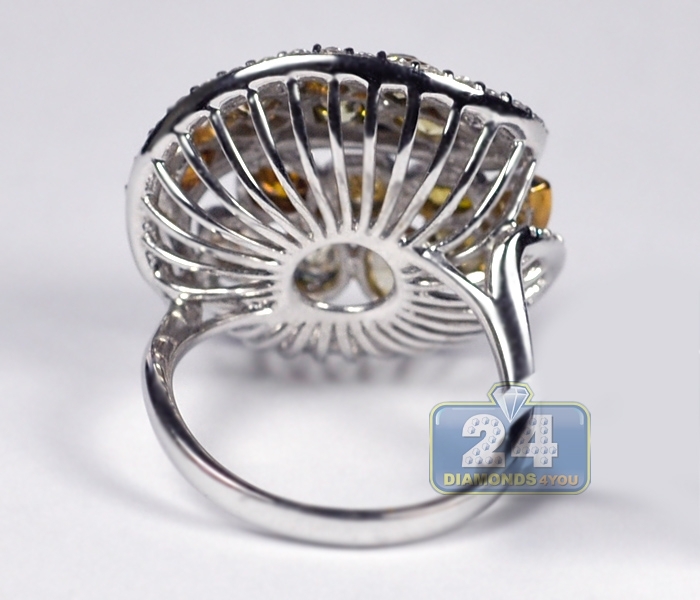 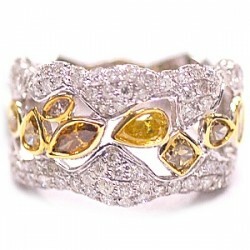 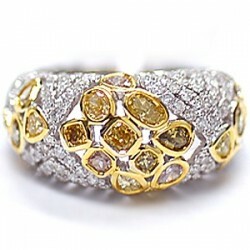 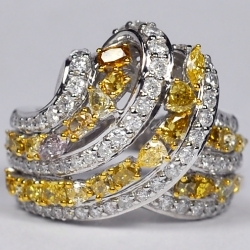 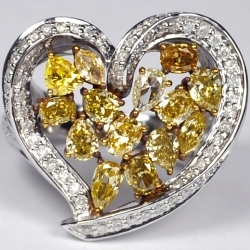 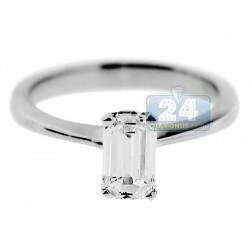 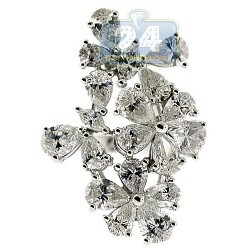 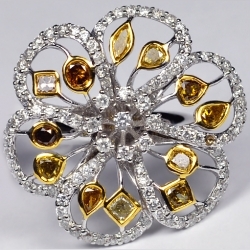 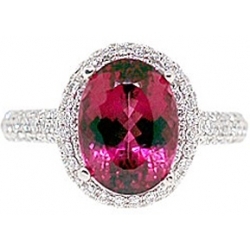 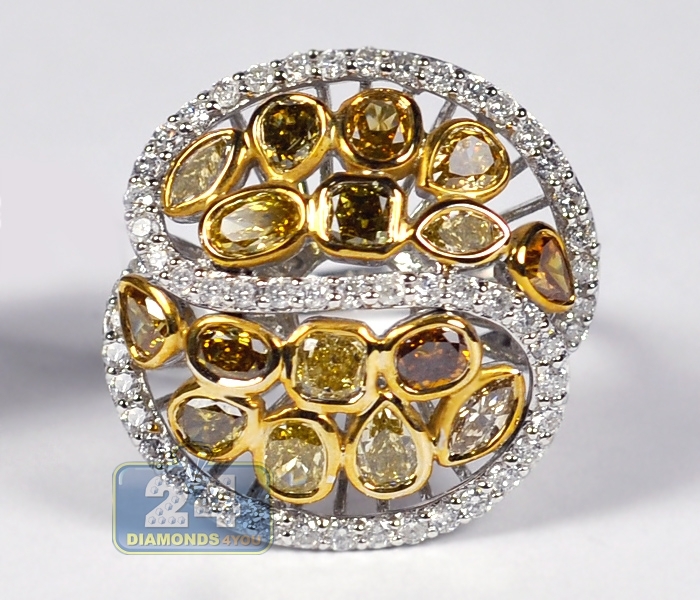 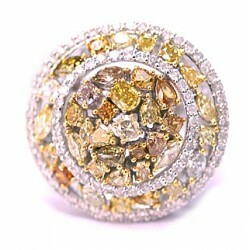 She will love the fashionable elegance of this amazing ring!